This route has been used as a top rope instruction route for many years at the Ice and Mixed Festival, the first actual leading ascent is unknown. 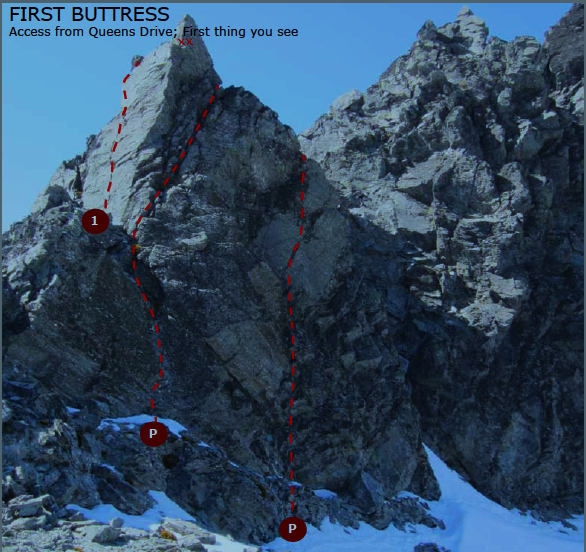 Start just left of right arete, first buttress. Follows blocks and shallow corner systems to easy slab above. Double bolt belay on left above as for preceding routes. Maybe M3?